At Carden Hall we commit ourselves to teaching children the values, knowledge, and skills upon which happy, successful lives are built. Below we have listed three characteristics of Carden Hall students that set them apart when they transition to high school. As early as preschool the students are taught the importance of conducting themselves as leaders. This includes poise, posture, and presence. 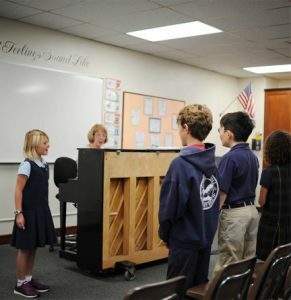 Students at each grade level give individual and group presentations in class and at assemblies so that they become comfortable with leadership. We begin each day with an individual greeting and handshake between the student and the teacher. At the end of each day the student and teacher shake hands again, and the student is able to share a most favorite part of the day. This tradition teaches children the importance of making direct eye contact when speaking with someone and of forming well thought sentences with substance and sincerity. In our Pre-K and Kindergarten classes, students take turns leading their peers through openings, conversation, and learning. 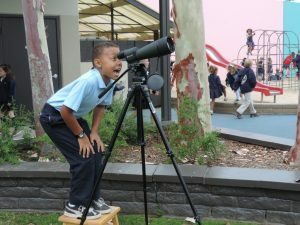 Beginning in the third and fourth grade students deliver oral reports on the topics of science, history, and literature. Step-by-step we teach communication and public speaking. 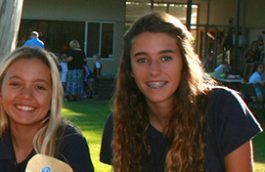 In fifth through eighth grades students practice public speaking in class and at our all-school assemblies. It takes quite a bit of courage to speak in front of several hundred people. 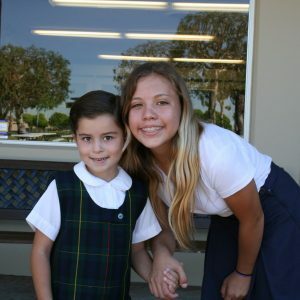 By the time the students graduate from eighth grade, they have both the self-confidence and a well-articulated public speaking ability that truly set them apart from other students their age. The Carden Method encourages children to think independently and from the inside out. Children engage as active participants in their learning during the school day. The sequential curriculum is taught in a manner that inspires children to develop their own thoughts and conclusions, widening their horizons and ensuring individual growth in the process. Exposure to the beauty in our world through poetry, art, and literature opens our students’ eyes to the possibilities of our world. 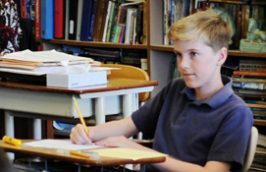 Carden Hall students love to learn, explore, create, and communicate as they prepare to live balanced, joyful, good, and productive lives. 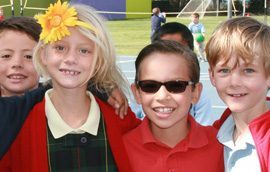 On the campus at Carden Hall we begin and close each week with an assembly that focuses on song, poetry, and positive character traits. Those themes animate conversation and action in the individual classrooms throughout the week. Honesty and respect lie at the foundation of the values we at Carden Hall consider true and important. Our job is to inspire our students to think hard and well about their world and their place in it. We feel that we are much more than an educational facility. Our rich curriculum, taught in a caring and supportive environment, provides students with tools which enable them to succeed in their studies and lives. 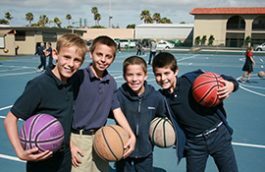 By providing a positive learning atmosphere children can be inspired to grow and reach their fullest potential. If you would like to schedule a tour of Carden Hall, you can do so by clicking here.